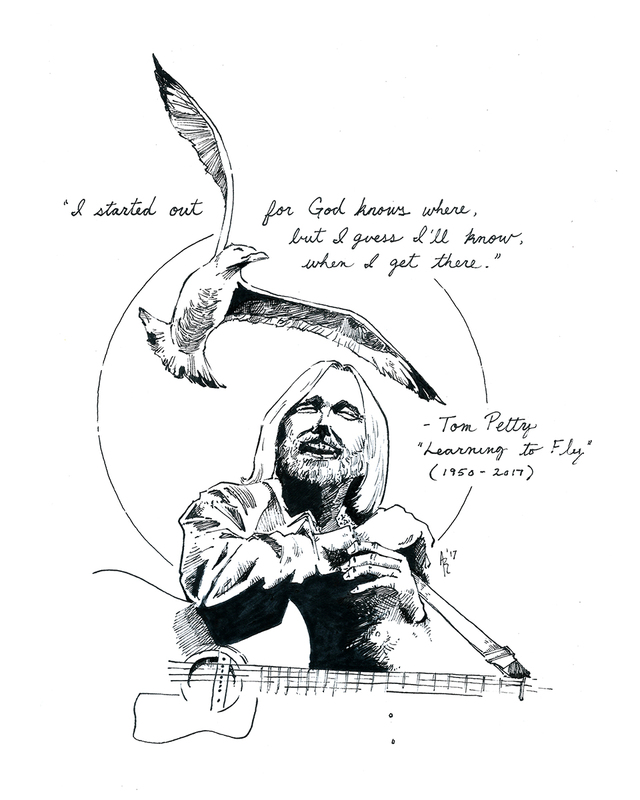 I only got into Tom Petty’s music over the last 5 years or so, but once I did, I felt like it had been with me my whole life. His songs are transcendent, timeless, unforgettable, and just plain damn cool. I’ll miss him. The least I could do was draw him. Fly on, Tom! This entry was posted in Uncategorized by adamrichardsonart. Bookmark the permalink. Such a talent you have. Continue sharing.